Are you up to date with current boy bands? Can you tell One Direction from Union J or what makes Take That different from JLS and The Wanted? 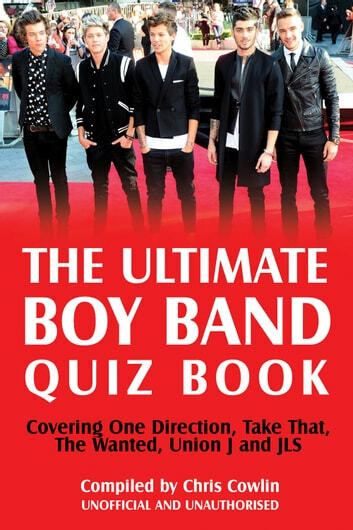 If you know all there is to know about the aforementioned groups, or would like to find out more, The Ultimate Boy Band Quiz Book is definitely for you. Which boy band’s members were appointed ambassadors for Pokémon during 2011? Which boy band recorded a cover version of a 1977 Bee Gees song? Which group supported Britney Spears in concert in Manchester? Find out the answers to these questions and many more inside this quiz book. With so many facts about your favourite boy bands brought together in one exciting book, you can’t help but learn something new. 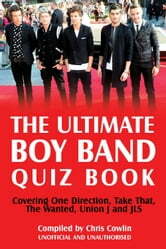 Featuring One Direction, Take That, The Wanted, Union J and JLS, this book will appeal to music lovers of all ages. Whether you are a long-time fan of Take That or secretly dance around the kitchen to the sounds of One Direction, this book has something for everyone. Download it to your eReader and enjoy at your leisure. What Do You Know About One Direction?